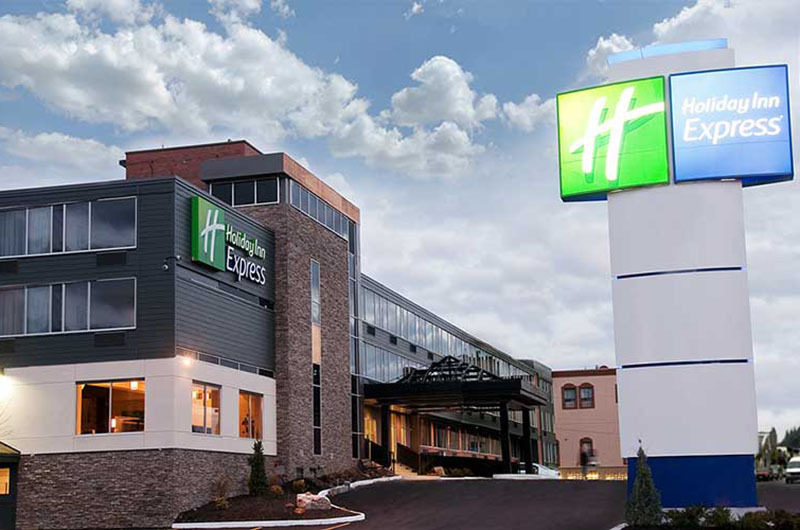 Welcome to the newly renovated Holiday Inn Express Sault Ste. Marie! The Holiday Inn Express – Sault Ste. Marie is the place to stay for an unbeatable value in the heart of downtown. Our Sault Sainte Marie hotel is conveniently located across from Agawa Canyon Tour Train, Essar Centre and Station Mall. The OLG Casino is within walking distance as well. Enjoy friendly service, comfortable accommodations and all the essentials needed for a relaxing break. Start your morning with free Express Start breakfast, access free Wi-Fi Internet from your laptop or use our front lobby workstation.For those of you who like to stay in shape, our Sault Ste. Marie hotel has it all, from an indoor heated swimming pool, whirlpool and sauna to an on-site fitness center. Meeting space, handicapped-accessible rooms and well-appointed suites are available and kids 17 and under stay free with an adult.